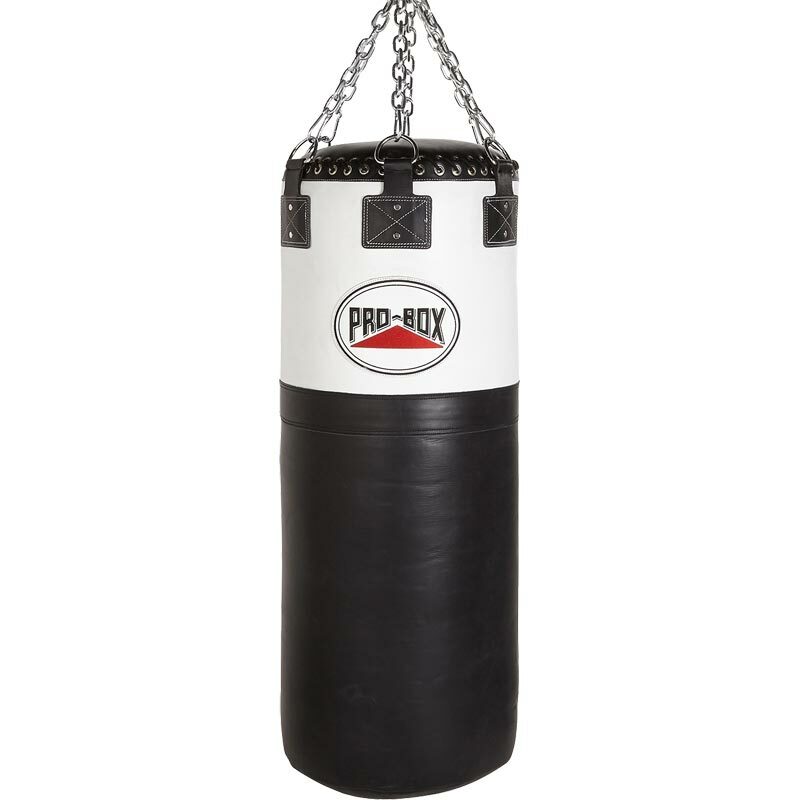 The Pro Box Black White Jumbo Punch Bag is a top professional 'Colossus' Bag constructed from quality cow hide leather. Canvas lined to prevent the leather from stretching and double stitched to increase strength at the joints. The bag is closed with traditional eye-lets and lace while the base has a heavy duty metal D ring giving the option for the bag to be tethered. Requires 6 Leg Commercial Chain Set (sold separately). Height (from top to D ring): 4'6".